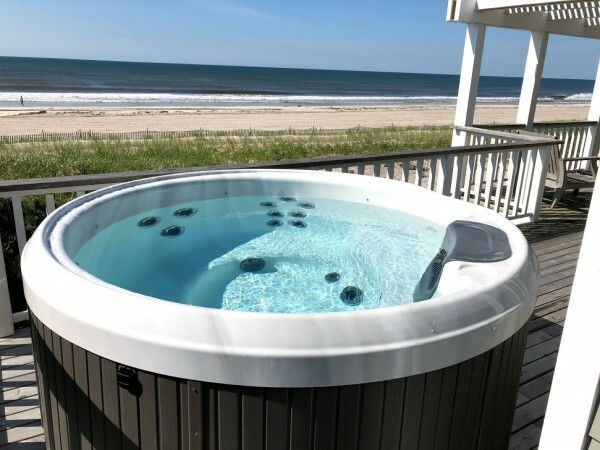 Best Hot Tubs: Lordy! There’s a Shark in Our Spa! You might think having a shark in a hot tub is a bad idea. But, that’s not necessarily so. At least not when the shark is an internationally recognized celebrity. The shark in question is Barbara Corcoran — real estate mogul, business expert, author, speaker, and well-known star of ABC’s Shark Tank. In fact, it’s highly possible that as we publish this, Barbara can be spotted relaxing in our Best Hot Tubs spa right now. The television star contacted us earlier this summer at our Farmingdale, NY, showroom — the nearest of our locations to her Fire Island home. 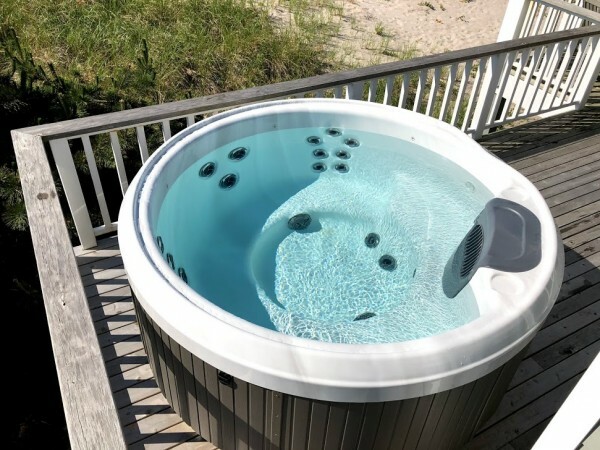 She had been looking forward to lots of relaxation time in her hot tub with family and friends over the summer, explained her assistant, Emily Burke. But Barbara’s older portable spa was on the fritz. She was looking to replace it with a Bullfrog Spa — and quickly. Barbara and Emily had done their research. The round X6-R model they wanted not only was highly rated because of Bullfrog’s well-known quality construction, but it was the perfect shape and size to fit the corner space of her deck. 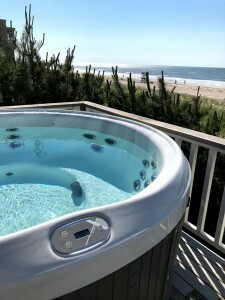 The round shape of the hot tub would also make a stylish contrast to the deck’s angular lines. In addition, being a Bullfrog Spa, the X6-R offered the company’s excellent warranties and renowned pulsating hydro-therapeutic jets. 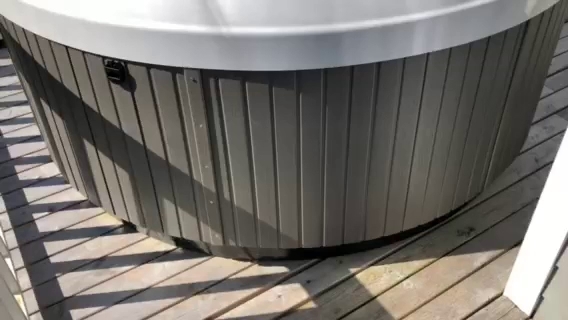 Bill was also there to turn the hot tub on for the season, and he stayed to test it — to make sure everything worked fine. Here’s a 11 second video of Bill’s test. Bill has recently spoken with Barbara, who remains delighted with her new Bullfrog Spa. 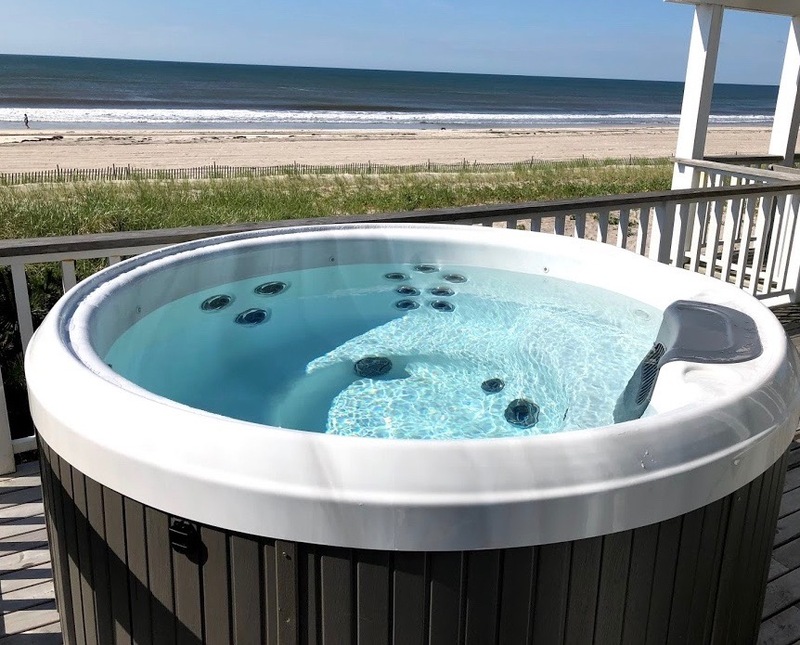 The shark tank star (Barbara Corcoran) says she was thrilled that her new Bullfrog Spa includes a lifetime warranty on the base frame, and it won’t rot or rust on her ocean front home over time. She was also able to choose a spa cabinet that coordinated nicely with her deck. The Shark Tank star adds her own sentiments about working with Bill Renter. “It was fantastic. 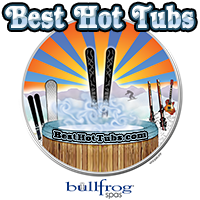 So easy to deal with Best Hot Tubs. They’re quick on emails. They always pick up calls. Bill even went out to Fire Island himself to make sure it was installed correctly. And when it was turned on for the season, he made sure personally everything was right,” says Barbara Corcoran. 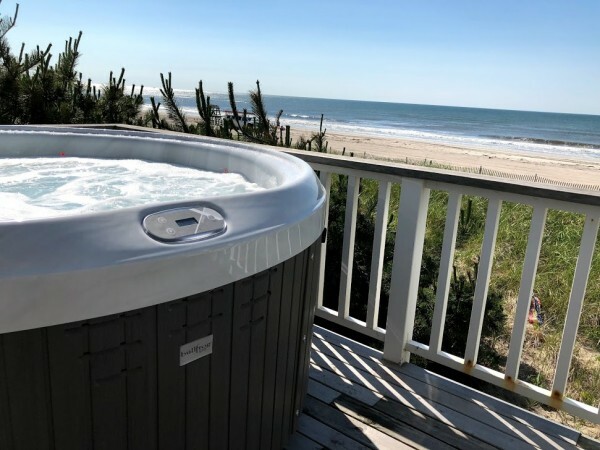 By June Sullivan|2018-08-02T11:30:34-05:00August 2nd, 2018|Best Hot Tubs, Bullfrog Spas, Bullfrog Spas "X" Series, Hot Tub Decks, Hot Tub Style, Hot Tub Styles and Design, Hot Tubs and Spas, hydrotherapy, Outdoor Entertaining, Seasonal Use of Hot Tubs, Uncategorized|Comments Off on Best Hot Tubs: Lordy! There’s a Shark in Our Spa!